The Clasp by Sloane Crossley. I’ve only read the first couple of chapters of this but I’m sure it’s going to be a great read!. 24 Hours by Claire Seeber. I’ve also just started reading this and I think it’s going to be a gripping read! I absolutely loved this book! I was a fan of Alan Bennett and Philip Larkin, which is what drew me to this book. This book was an utter joy to read and I highly recommend it. Simultaneously profound and entertaining, Bennett’s book is a paean to poetry and its creators, made all the more enjoyable for being told in his own particular voice. its creators, made all the more enjoyable for being told in his own particular voice. I just finished reading this book last night and I very much enjoyed it. I’ll be reviewing this tomorrow so look out for that if you’re interested. 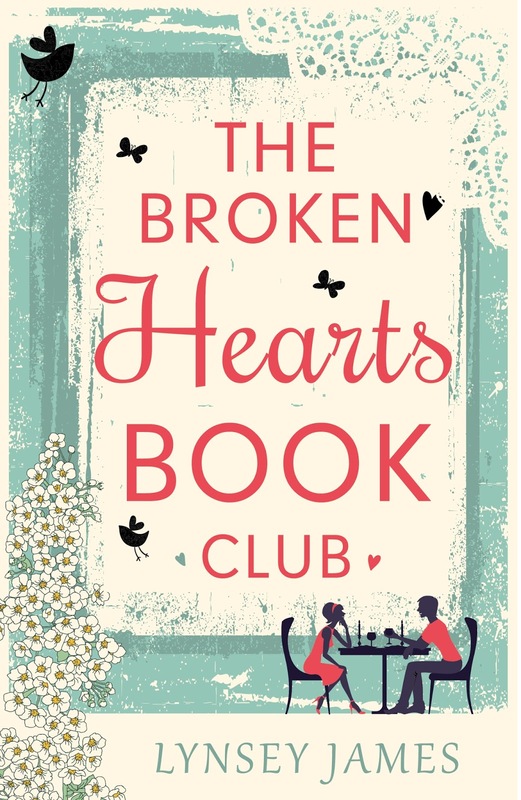 The Broken Hearts Book Club by Lynsey James. I was lucky enough to be accepted for a review copy of this on NetGalley and am so excited to read it! This entry was posted in Book Meme, Books, ebooks, WWW Wednesday, WWW Wednesdays and tagged Alan Bennett, Amy Sue Nathan, Books, Claire Seeber, Diane Chamberlain, ebooks, Lynsey James, Sloane Crossley. Bookmark the permalink. Both your current reads sound really good. “Nathaniel loves Nathaniel” lol! I’m definitely going to look up 24 Hours, I haven’t read a psychological thriller in a while. 24 Hours looks great. I’d love to know what you think of it when you finish! I’m hoping to reading it over the next couple of days so I should be reviewing it soon. I’ve seen The Broken Hearts Book Club popping up a lot. If I see lots of positive comments then it’ll have to go on my TBR. I like the sound of The Clasp – I’ll wait to see what you think. I’m only a few chapters into The Clasp but it’s so good already, I know it’s going to be a fab read. I love books about book clubs. Hope it lives up to your expectations. Happy reading and thanks for participating in WWW Wednesday! I like the sound of 24 Hours – and the cover of the Chamberlain book is gorgeous. I love the cover too, it’s what caught my eye. It’s a good book, I really enjoyed it. I’m hoping to read more of 24 Hours today but from the bit I’ve already read, it’s going to be a good read! It was the cover that caught my eye too, I hope it’s still available. Glad to know my upcoming reads are so good. 🙂 I just finished Pretending to Dance last night and it was very good, one of Diane Chamberlain’s best. I think I also got a review copy of The Good Neighbor. If I didn’t, I’m going to be so disappointed! I really hope you did and that you enjoy it. It was different than I expected it to be but I loved it.